What we learned from round eight of the Currie Cup, according to CRAIG LEWIS. Extreme weather conditions in Pretoria saw Saturday’s clash between Western Province and the Blue Bulls abandoned at half-time. 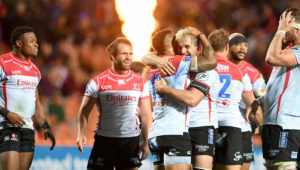 However, just one half of rugby was sufficient for Province to once again demonstrate that they remain firm favourites to clinch back-to-back Currie Cup titles. Despite the conditions, WP recorded four tries to surge into an emphatic 34-7 lead before the game was called off. It was enough for the result to stand, and Province will now take plenty of confidence into Saturday’s rematch against the Bulls. Wilco Louw made a massive statement of intent at Loftus, and the Province scrum was a thing of beauty in atrocious conditions. Province will also welcome in-form Dillyn Leyds back from injury this week and should be extremely confident of claiming a home final. For Saturday’s clash against Griquas, the Sharks made the interesting decision to move Curwin Bosch to flyhalf, while Rob du Preez shifted to inside centre. To be fair, it was a move that had mixed results. Bosch produced some lovely touches on attack, while adding his long line kicking to proceedings, but the youngster also made the odd mistake. 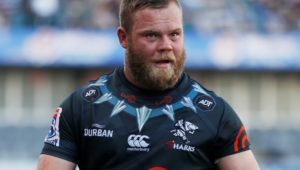 Nevertheless, there is no doubt that the Sharks have the ability to be a lot more threatening with ball in hand when Bosch is at 10, while it also opens up a spot at fullback for prodigiously talented Aphelele Fassi. 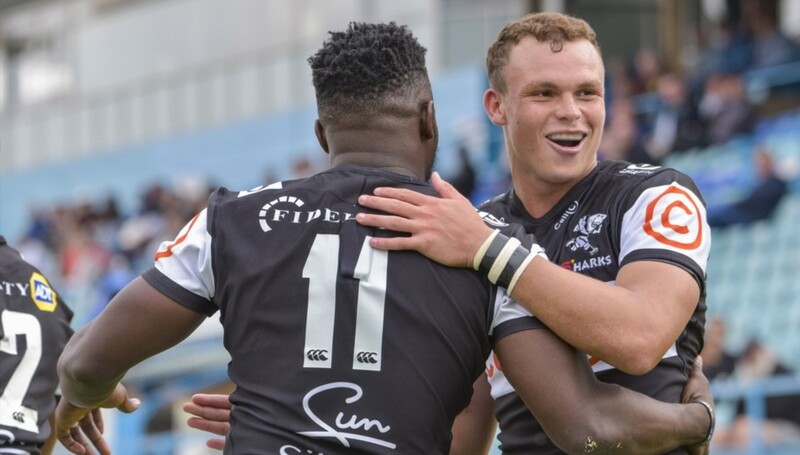 It now remains to be seen whether the Sharks opt for the more conservative option of reverting to Du Preez at flyhalf for Saturday’s semi-final against the Golden Lions. However, there were certainly enough encouraging signs in Kimberley to suggest the experiment of Bosch and Du Preez running as a 10-12 combination is worth another shot. 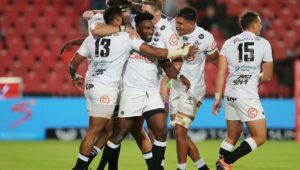 Sharks wings S’bu Nkosi and Lwazi Mvovo enjoyed impressive outings against Griquas in Kimberley, but on Friday, another Bok wing in Courtnall Skosan made a timely statement about his enduring class. Skosan scored two tries in an effervescent performance in which he was full of running as the Lions comfortably overcame the Pumas. 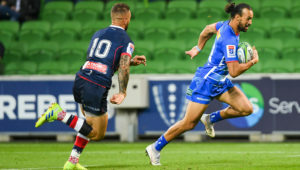 It can’t be forgotten that the 27-year-old started as many as 12 Tests last year, and while he has remained out of the national reckoning this season, it’s good to see him rediscovering some fine form in the Currie Cup. Although Aphiwe Dyantyi has unequivocally made the Bok No 11 jersey his own in 2018, the national coaches will want to know that there are backup options available. Skosan is one of those players who will want to keep working towards the ultimate goal of earning a Springbok recall.